FRAMINGHAM, Mass.--(BUSINESS WIRE)--Aug. 5, 2014-- Staples, Inc. (NASDAQ: SPLS), has an exclusive partnership for back-to-school supplies with Nickelodeon™, the number-one entertainment brand for kids. Staples stores and Staples.com will make more fun happen with a wide assortment of Nickelodeon Teenage Mutant Ninja Turtles™ and SpongeBob SquarePants™ products found exclusively at Staples. 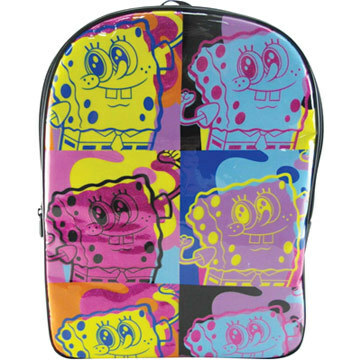 Staples will offer exclusive Teenage Mutant Ninja Turtles and SpongeBob SquarePants designs on products such as folders, pencil pouches, pencil sharpeners, notebooks, backpacks, lunch boxes, die-cut erasers and pencils, making it easy for students to show their style and make the grade with their favorite Nickelodeon characters. “Joining forces with Staples to bring Nickelodeon’s entertaining characters to functional supplies is a perfect way to celebrate the start of the school supply shopping season.” said Paula Allen, Senior Vice President, Global Publishing, Nickelodeon Consumer Products.